Only Cameron Karwowski, Racquel Sheath and Myron Simpson remain from the endurance team for the third World Cup in Cali on 16-18 July. The sprint squad will not be finalised until the New Year but only the women’s pair of Katie Schofield and Stephanie McKenzie are likely to remain from the London World Cup team with Olympic medallist Simon van Velthooven expected to get his recall. Cycling New Zealand (formerly BikeNZ) Head Coach Dayle Cheatley said the team has earned sufficient qualifying points to cement their spots in all key events for February’s World Championships. “Our points allow us the opportunity to give some of our development riders a taste of international competition as we look longer term to the Rio Olympics and beyond,” Cheatley said. “The High Performance programme has a strategy not only to focus on our current top performances but an investment into our development to ensure we have sustainable programmes to 2016 and 2020. Karwowski is likely to contest his second World Cup omnium leaving Simpson to link up with the Hawkes Bay pair of Regan Gough and Luke Mudgway and Southland’s Nick Kergozou. This youthful trio won the bronze medal along with Jack Ford in the team pursuit at the junior world championships in Korea in August. Gough is a brilliant prospect, winning gold in the points race, a silver in the individual pursuit and linking with Mudgway to win the gold medal in the Madison at the juniors world championships. Sheath gets the opportunity to gain much needed experience in her rookie season looking long term past the world championships to Rio. The women will also blood a new-look combination in the team pursuit with Waimate’s Holly Edmondson and Auckland 17 year old Bryony Botha part of the medal winning pursuit team at the junior worlds. They will be joined by Southland’s Kirstie James and Waikato’s Pip Sutton. James, formerly from Auckland, competed as a rower at the World University Games before switching to cycling as part of the strong Southland programme and also for the 2014 Road team -Endura Lady Force, a Dutch team in the Netherlands. 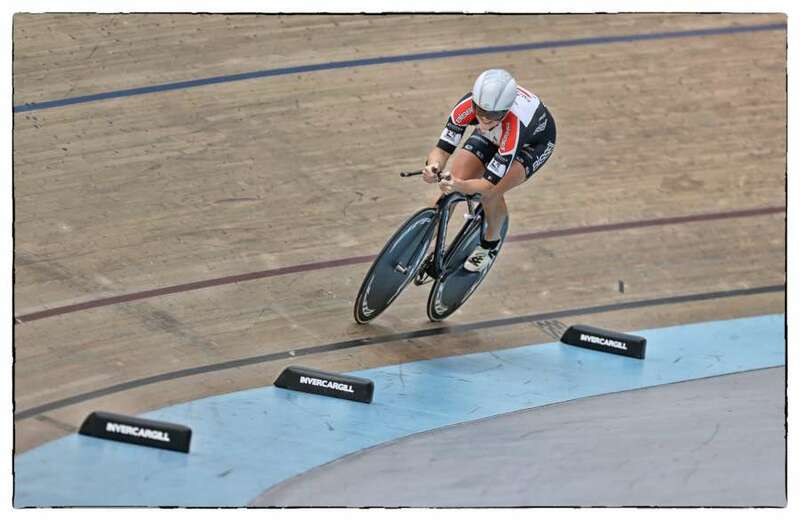 Sutton is a former national criterium champion, former pilot for Paralympian Philippa Gray and a member of the Waikato-BOP team pursuit combination this year. Cheatley said the decision to bring some new riders into the mix has other benefits. “We are only nine weeks out from the world championships. Our key riders will now be able to fully focus on preparations for Paris and not be compromised with the significant travel and competition in Cali. The squad go into camp on 3 January and leave for Cali a week later. Men: Regan Gough (Hawkes Bay), Luke Mudgway (Manawatu), Nick Kergozou (Southland), Myron Simpson (Auckland), Cameron Karwowski (Southland). Women: Racquel Sheath (Waikato), Pip Sutton (Waikato), Holly Edmondston (Waimate), Bryony Botha (Auckland), Kirstie James (Southland).